What is a Pre-Engineered Metal Building? Over the years the pre-engineered metal building system has evolved from a catalog of standard designs and sizes into a diverse and unique system built upon the flexibility of structural elements that work together to create something that is not only efficient but highly customizable. Once primarily used for industrial warehouse, storage, and manufacturing facilities (still a great use) today pre-engineered metal buildings (PEMB) account for a wide array of industrial and commercial structures including retail stores, office buildings, entertainment arenas and even schools, churches, and government facilities. All while being custom designed to meet specific dimensions, structural needs, and building codes. 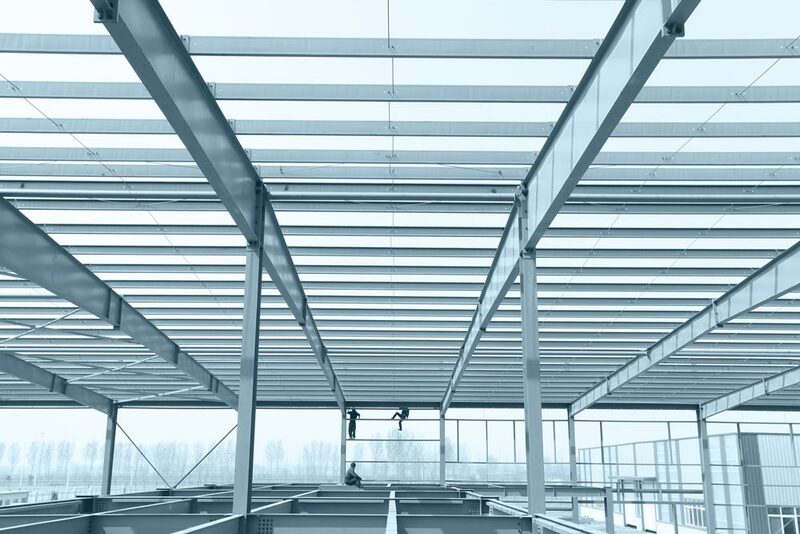 What exactly is a Pre-Engineered Metal Building (PEMB)? More than just four walls and a roof, a PEMB is a structure that is built using a structural steel framing system specifically engineered to fit your project requirements. All of the predetermined components of the structure are fabricated off-site under precise factory conditions. Components are pre-cut, pre-punched, and pre-fabricated per your design specifications. The complete package is then delivered directly to the project site where they may be assembled on-site by a qualified construction company. Cost Efficiency – Construction time and material costs are more predictable than conventional construction. With PEMB components manufactured and shipped from a controlled site, there is less labor and human error costs to consider. Design Flexibility – Process significantly reduced due to the fact that these structures are created using standardized components that work together easily to allow greater flexibility and customization. Decreased Construction Time – Components arrive pre-fabricated meaning there is no welding or cutting required and construction crews may immediately begin erecting the structure. Structural Strength – Structural steel is strong and built to last. Specialty coating applied to components allow for the resistance of corrosion and dirt. The longevity and sustainability of a PEMB will save time and money during the lifespan of the building. Easily Expandable – Businesses often outgrow their facilities and benefit from an expansion. PEMB’s allow for easy expansion of existing facilities. An expansion or remodel is made much simpler due to standardized design and efficient assembly processes. With lower costs and speedier construction times, one might think PEMB’s must all look like boring uninspired squares. On the contrary, architects and engineers combine and select components to create framing, wall, roof, and other specialized design options to create your structure. With various colors, textures, and shapes to choose from, the options for these components and how they can work together enables designers to create something truly unique. Many options exist with regard to architectural detail or finish materials that will enable an aesthetically pleasing appearance that is consistent with that of conventional construction without compromising on speed and cost-efficiency. FDC has been providing pre-engineered metal buildings to our clients in Northern California and the greater west since 1972. With over 5 million SF of pre-engineered metal buildings under our belt spanning all industries, shapes, and sizes. Our team works hand-in-hand with business owners to create buildings that meet their unique needs and provide a high degree of cost efficiency. If you are interested in partnering with FDC for construction services and would like to learn more, please call or contact us online today.